Sadly, Battle of Britain ace Wing Commander Bob Doe DSO DFC* passed away on Sunday 21 February 2010. "Wing Commander Bob Doe, who died on February 21 aged 89, was the joint-third most successful fighter pilot in the Battle of Britain, credited with 14 victories and two shared. Yet Doe had struggled to become a pilot, barely passing the necessary exams to gain his wings. He lacked confidence, was poor at aerobatics and disliked flying upside down – not an auspicious beginning for a fighter pilot. On August 15 1940 – dubbed Adler Tag (Eagle Day) by Hermann Goering, the day he claimed he would destroy Fighter Command – the 20-year-old Doe was on standby with his Spitfire as part of No 234 Squadron at Middle Wallop, Hampshire, waiting for his first scramble. Years later he recalled: "I knew I was going to be killed. I was the worst pilot on the squadron." When the scramble bell rang, Doe was filled with dread but he took off; the fear of being thought a coward was more powerful than the fear of death. One hour later Doe landed to find that four of his colleagues had failed to return; but he had shot down two Messerschmitt Bf 110 fighters south of Swanage. The next day he destroyed a Bf 109 fighter and damaged a bomber; and two days after that he accounted for another Bf 109. Limited edition print (200), hand-signed by Bob Doe and Geoff. 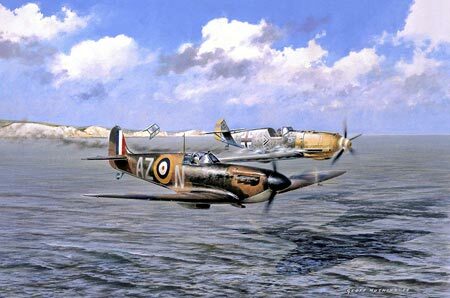 Geoff's painting depicts Luftwaffe ace Hauptmann Rolf Pingel of I./JG26 falling victim to the guns of Pilot Officer Bob Doe of No.234 Squadron off the south coast of England during the Battle of Britain. Doe allowed Pingel to ditch his crippled Me109 in the English Channel, from where he was eventually picked up by an E-Boat. Pingel survived the war, being taken prisoner on 10 July 1941. After his death in the 1970's, Frau Pingel wrote to Bob Doe thanking him for his act of wartime chivalry that allowed her husband to live. The Battle intensified, and Doe's outstanding memory was to be of continued tiredness, which produced the ability to sleep anytime and anywhere. By the end of August he had destroyed five aircraft. On September 4 his squadron intercepted a large force of Bf 110s over the south coast near Chichester. Doe shot down three and the following day accounted for a Bf 109 over Kent. More successes followed, including shooting down a Heinkel bomber. But by September 7, just three weeks after it had arrived at Middle Wallop, the squadron's 15 pilots had been reduced to just three. Doe was rested for a short period before joining No 238 Squadron as a flight commander, this time flying the Hurricane. On September 30 he claimed another Heinkel bomber after a head-on attack, but by this time the Luftwaffe was sending most bombers over at night and the intensity of the day fighting reduced. He shot down a Bf 110 on October 1 and seven days later claimed his final victory on what turned out to be the last major daylight bombing raid of the Battle, when he shot down a Junkers 88 bomber near Portland. At the beginning of October Doe learnt that he had been awarded a DFC "for his outstanding dash and an eagerness to engage the enemy at close quarters". This "dash" almost proved his undoing a few days later. As he cleared some cloud his aircraft was hit repeatedly and he was badly wounded in the leg, lower back and arm. He bailed out and landed in a sewage drainage pit on Brownsea Island. It was his last action during the Battle. In just eight weeks he had risen from being his squadron's junior pilot to a flight commander with at least 14 victories. A few weeks later he was awarded a Bar to his DFC. The son of a head gardener, Robert Francis Thomas Doe was born at Reigate on March 10 1920. A shy, sickly boy, he left school at 14 to work as an office boy at the News of the World. He was one of the first young men to apply to the RAFVR and started to train as a pilot at a civilian flying school. He gained a short service commission in the RAF in March 1939. After recovering from his wounds, Doe rejoined No 238 in December 1940. On January 3 1941 his aircraft suffered an engine failure on a night sortie and he made a forced landing. His restraining harness broke and he smashed his face into the gunsight. One eyeball had fallen out, his jaw was broken and his nose almost severed; he also broke his arm. After 22 operations at East Grinstead Hospital he earned his place as a member of the Guinea Pig Club (for patients of novel surgical techniques), and he was able to resume operational flying within four months of his crash. A series of training posts followed at a fighter school, and in October 1943 he volunteered for service in India. Two months later he formed No 10 Squadron, Indian Air Force, at Risalpur in the North-West Frontier Province, the last Indian Air Force squadron to be formed during the war. He arrived to find 27 pilots, most of them Indian, about 1,400 men and 16 Hurricanes. The rest was up to him. They flew Hurricane IICs, known as "Hurri-bombers", armed with four 20mm cannon and two 500lb bombs. Doe worked his squadron hard, and once it was declared operational it moved to Burma to fly ground support missions in support of the Fourteenth Army's operations in the Arakan and the Kaladan Valley. After a particularly successful raid led by Doe in support of an amphibious landing, No 10 received a commendation from the commander of the Arakan Group. Doe's Indian squadron flew intensively, attacking ground targets that were sometimes just a few hundred yards ahead of friendly troops, as General Slim began his southern advance into Burma and towards Rangoon. In April 1945 Doe left the squadron to attend the staff college at Quetta. For his service with the Indian Air Force he was awarded a DSO for his "inspiring leadership and unconquerable spirit and great devotion to duty". At the end of the war he was given the job of running the air display for Indian Victory Week. Doe remained in the RAF and, after appointments with the Royal Auxiliary Air Force, was sent to Egypt in May 1950 to command No 32 Squadron, equipped with Vampire jet fighters. He had never flown a jet before, so on his way to the squadron he managed to stop off at a maintenance unit and borrow a Vampire for a few hours to familiarise himself. 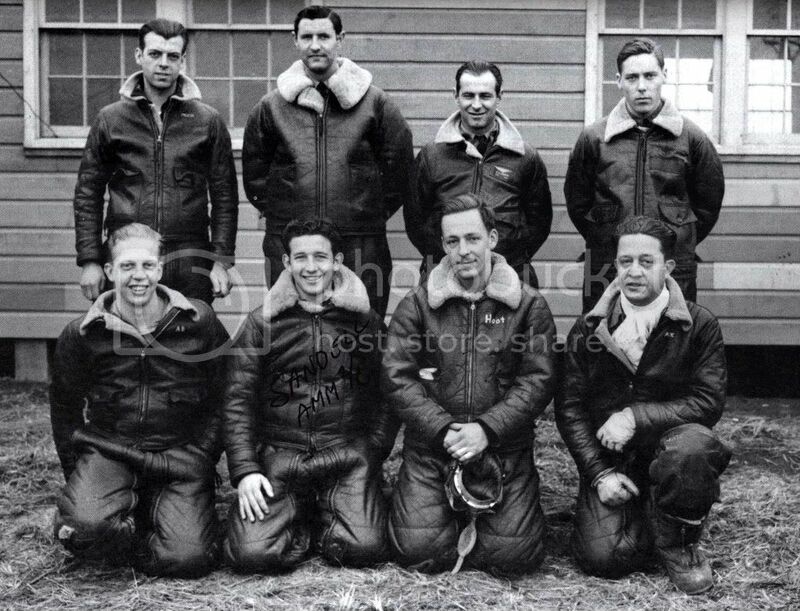 By the time he left in May 1953, No 32 had built up a reputation for esprit de corps envied by all the other RAF and Army units on the base. He returned to Britain to join the Fighter Gunnery Wing as a senior instructor. A series of staff appointments followed, including two years with the Chiefs of Staff Secretariat. This placed him in the corridors of power, and the boy who had left school at 14 had to learn how to write minutes which would be scrutinised and reworded by secretaries and read by the chiefs. Doe found this job to be the most difficult and challenging appointment of his career. In April 1966 he opted for premature retirement. Doe settled in Tunbridge Wells, where he joined a family-owned garage business before moving on to Rusthall, Kent, to establish his own very successful garage and contract hire and self-drive car company. He took a passionate interest in his garden and three greenhouses, and in his large family. Much-admired but always modest, Doe never considered himself a hero, saying that he had been "just doing my duty". 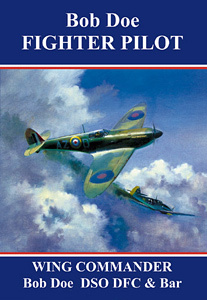 But he did write about his wartime experiences in Bob Doe, Fighter Pilot, published in 1989. Bob Doe is survived by his third wife, Betty, and by five children and three stepchildren". Farewell and thanks, RIP up there in the burning blue. Last edited by StampeSV4; 23-02-2010 at 20:52. I just finished Fighter by Len Deighton, which I suppose was required reading here! Thanks Jon'. Saw that on the RAF's Twitter feed, of all things. Very much enjoyed his reminiscing on / in Spitfire Ace. 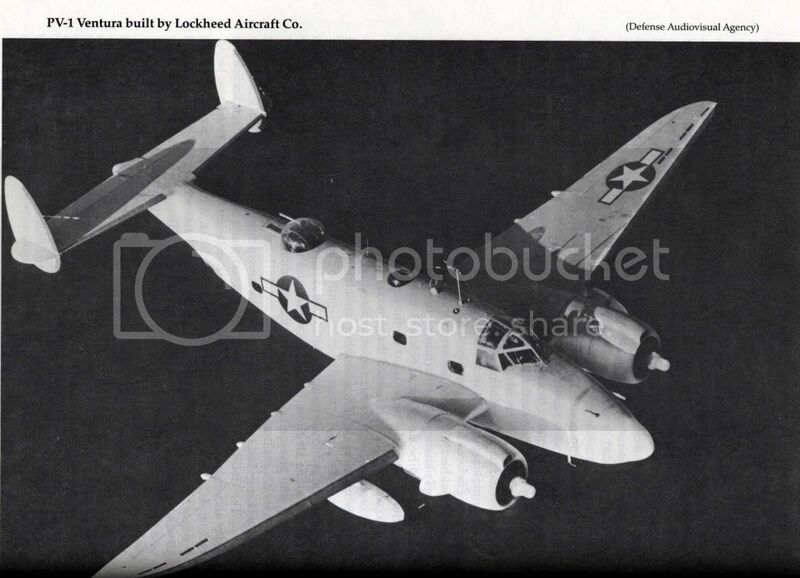 That was good reading.There are getting less of these WW2 vet's around.My dad was a flight enigineer and ball turret gunner on Navy TBM avengers and also flew on PBY's the risk pilot's and crew member's did in WW2.I should head down to Montana and see him he is in his 80's.I had this Teacher when in Junior High that would tell us stories of the battle of the bulge.I did the Calif conservation corp in the 1970's the camp we worked out of was at the Calif.Vet's home this was in the 1970's I am old there were a lot of spanish american war vet's and WW1 around back then.The world mite be a differnt place if these vet's did not do what they had to do.Agian great reading I mite have to see if I can find that book . Last year I read a superb autobiography about someone who flew TBMs in the Pacific theatre - I'll find out the title for you. I recall the book won an award. I have an Elgin cockpit clock somewhere, out of a Catalina - I'll post some photos soon. 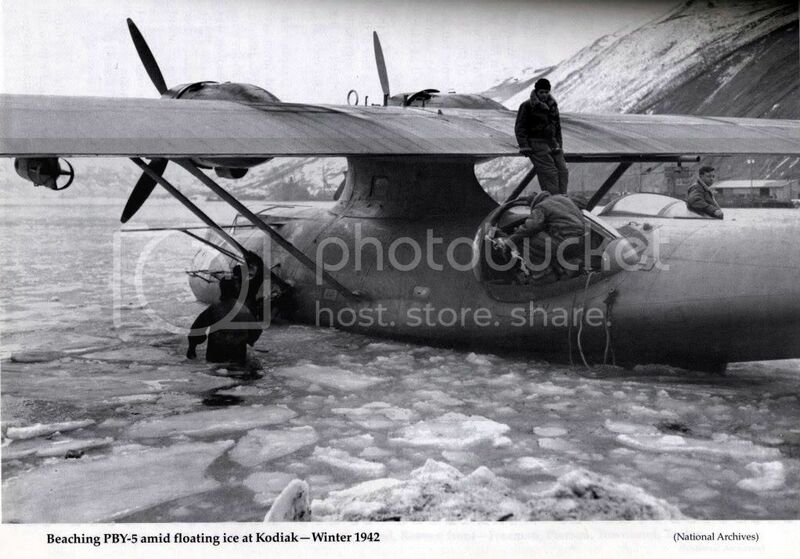 Here is a photo of my Dad when he was on PBY's and PV-1 in the Aleutians in the begining of the war. They started out with PBY's then the Navy got PV-1 the crews liked the PBY's better they patrol over open water the PBY's floated if you went down.My Dad has a lot of stories.He was at Alameda Naval Air when they loaded the B-25's on the Hornet for the Doolittle raid they used to transport aircraft that way so nobody thought nothing of it.When his tour was up in the Aleutians he went to TBM's down were I live there is a lake called lake chabot the Navy would train them to shoot skit those clay target's with shot guns that would give you the basic's at shooting at a moving target like enemy aircraft if you were a ball turret gunner.Do you remember Robert Stack the acter from the untouchables he was the instructor.My Dad also served in the Korean war and the Vietnam war he was a flight engineer on a Army helicopter I ask what was some body in the Navy doing on a Army helicopter and he said they did salvage for the Army and Navy.In the unit he was with in the Korean war they used the only torpedo in the war to blow up a dam.Some one from his squadron wrote a book my Dad gave me a copy thats were I got the photo's from. Great photos, Mike. I'm sure I could listen to your Dad's stories for hours - you're very lucky. The book I mentioned about flying TBMs is called "Flights of Passage" by Samuel Hynes. What's the name of the book about your Dad's squadron?